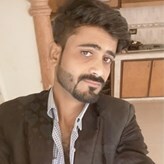 I'm simple and straight guy 26 Years old from pakistan. Playing games in computer. And physically cricket. And like to swimming.and traveling. I think it's everything for me. I'm looking for loving and caring girl and responsible about home and what ever she do I'm not gonna involve in her personal matters. For me there is no security for girl who get Mary me bcz my trust is strong more than hills. If any one wants in married life freedom I won't be disappointed for this. Do what ever wanna do.